There’s a truly adorable new trend on Instagram: Little kids are recreating Solange Knowles’ album cover for A Seat at the Table. The trend seems like it began with 5-year-old Ahnari, whose mom posted a side-by-side comparison of Knowles’ cover and Ahnari copying it. Lemoine went on to explain to Ahnari, at only 5 years old, already likes to make a statement by dressing up. And Ahnari seems to have started an Instagram trend with her Solange-inspired look. Other kids have followed suit and their moms have been posting photos too. One of the cutest photos is of 2-year-old Jolie Dior, whose mom, Ashlyn Ursua, decided to do her hair like Solange’s as part of an impromptu girls’ night. “It was ‘hair day’ so I was massaging her scalp and giving her an olive oil treatment and playing Solange’s album and one thing lead to another! 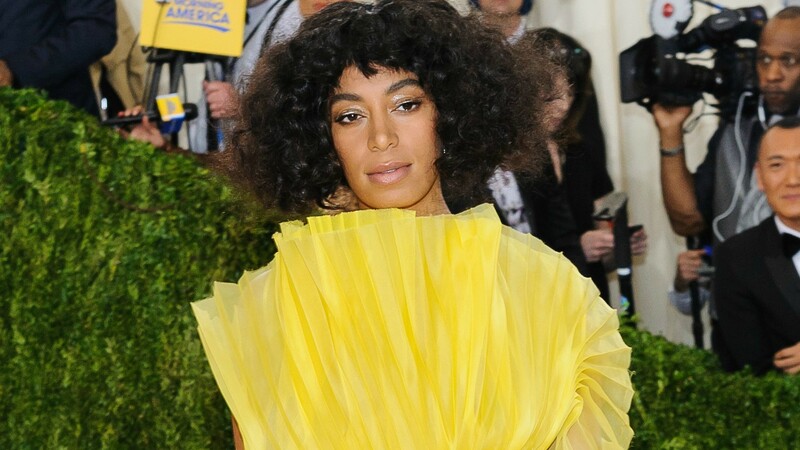 LOL,” Ursua wrote, adding that she’s happy her daughter has someone like Solange to be a role model to her.